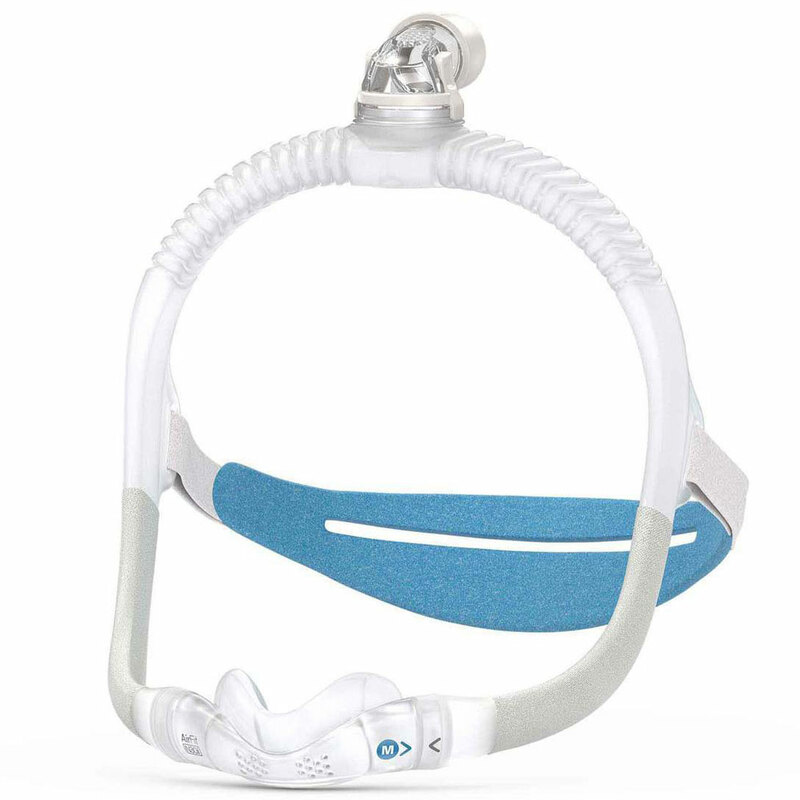 The ResMed AirFit N30i Mask with Headgear provides comfort and simplicity in a new lightweight design. Designed with comfort in mind, the SpringFit frame ensures a personalized fit and the top-of-the-head tube attachment allows freedom of movement during sleep. Small, Medium, Small Wide Cushions Included. Click here for cushion sizing guide. The AirFit N30i Nasal Mask was designed with maximum comfort in mind with a new minimal design eliminating irritation on the nose bridge. The unique frame allows the user to watch TV or wear glasses righ before going to bed. 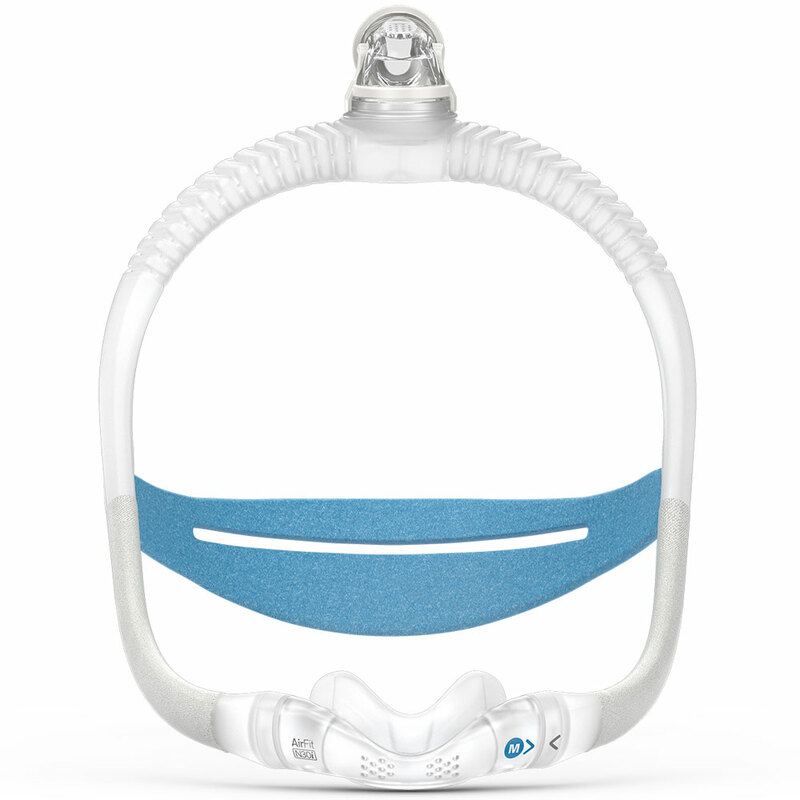 The AirFit N30i mask features a frame that holds your CPAP tube on the top of your head rather than in front of your nose. This allows you to move freely during therapy without any disruption caused by a tube moving across your body, making your sleep more comfortable. This mask features a cradle cushion that covers less of your face than a traditional nasal mask and sits discreetly under your nose, not in it. Designed with the user in mind, the SpringFit frame is an innovative design that provides a stable, personalized fit. To increase comfort, the mask was created to minimize parts covering the face. The AirFit N30i leaves your face clear so you can wear glasses to read or watch TV before going to bed. *This mask is not compatible with the AirMini.